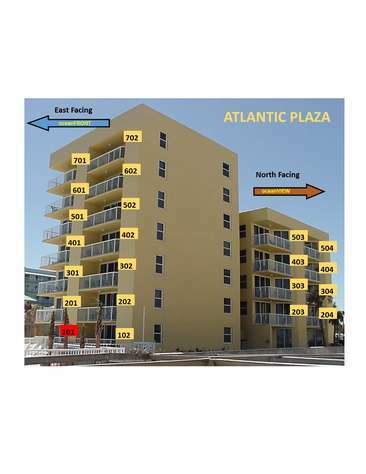 The Atlantic Plaza is a unique 22 unit family-oriented vacation rental condominium. We offer daily and weekly rentals year round and monthly rates in the Off-Season and Winter Season. For a reservation stay shorter than one (1) week, please call. This 2nd floor oceanVIEW unit is a nice place to sit and relax. Great view of the ocean and all the beach sounds. Reservation Deposit: Will be deducted from rental due at time of check-in. Deposits will be forfeited for cancellations not received in time frame as posted. Security Deposits if Applicable: Not applied to reservation funds. Will be refunded within 7 days of a successful check-out. Error: Error validating access token: Session has expired on Sunday, 24-Mar-19 08:25:15 PDT. The current time is Sunday, 21-Apr-19 15:39:48 PDT. Copyright © 2019 AtlanticPlaza.net. All rights reserved.